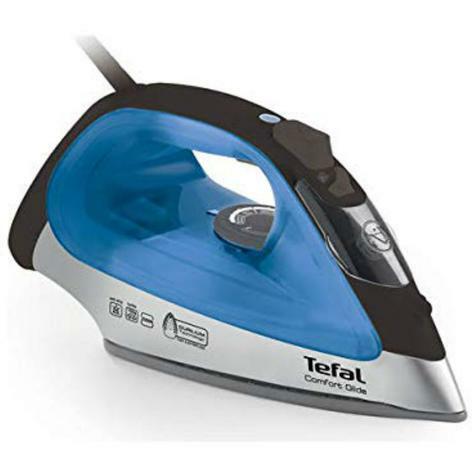 Tefal Ergonomic Ultraglide Steam Iron?Trigger Durilium Technology?2500W? Ultra easy maintenance for a durable steam power, the new Tefal Ultraglide FV2677 steam iron combines power and efficiency with low maintenance. 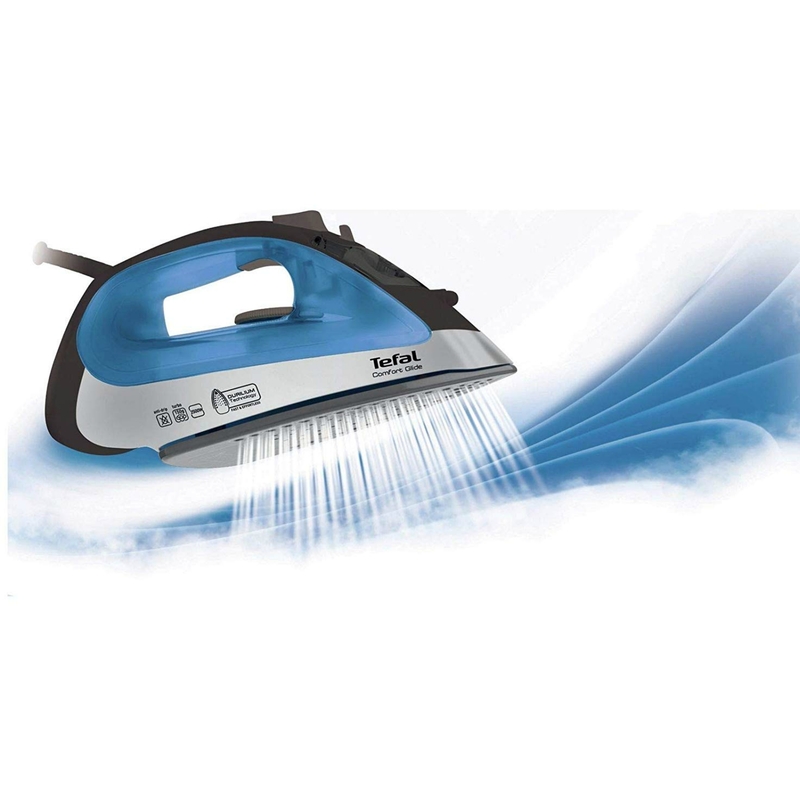 It offers 0-40g/minute steam output, to gently soften clothes for easier ironing. The Tefal Ultraglide also boasts a trigger-controlled 150g/minute shot of steam that allows you to make light work of difficult and stubborn creases. The steam output of an iron is indicated in grams per minute (g/min), so the higher the output, the more steam is generated to tackle creases. Also the more powerful the iron, the deeper the steam will penetrate fabric for quicker, hassle-free ironing and excellent results, no matter the fabric. Ultraglide provides a 150g/min steam shot deep into fabrics at speed, removing even the most stubborn creases with ease for outstanding ironing results. 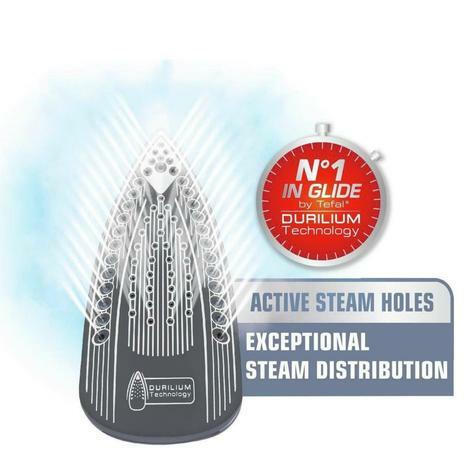 the Durilium soleplate delivers an optimal steam distribution for effortless, efficient ironing. 2500W of power for fast heat-up, a continuous steam output of up to 40g/min for quick and efficient crease removal, plus 270ml water tank for uninterrupted sessions, so no time is wasted. The clever anti-drip function safeguards against staining to keep your fabrics spotless. Note: All electrical Items are UK spec (UK Standard 3-Pin plug) unless otherwise stated . International buyers will need an Adapter to use in their country. Buy with Confidence from a Tefal Authorised Dealer and All Purchases come with a VAT Receipt.